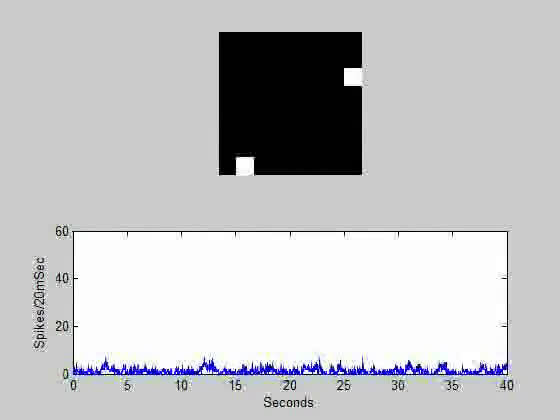 (Medical Xpress)—In dynamic neuronal networks, pervasive oscillatory activity is usually explained by pointing to pacemaking elements that synchronize and drive the network. 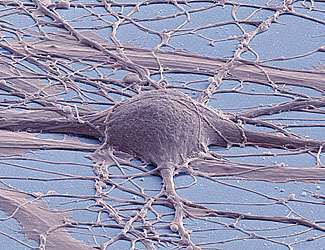 Recently, however, scientists at The Weizmann Institute of Science in Israel studied synchronized periodic bursting that emerged spontaneously in a network of in vitro rat hippocampus and cortex neurons, finding that roughly 60% of all active neurons were self-sustained oscillators when disconnected from the network – and that each neuron oscillated at its own frequency, which is controlled by the neuron's excitability. The researchers say that neuronal oscillations are widespread in the brain, not only in processes that require timing but also observed over natural activity characteristic of many areas – and that their realization that single neurons operating in default mode with no relevant input tend to oscillate may be important in deciphering the activity in these areas. Similarly, they state, the ability to couple and create large ensembles of synchronized oscillations will be important to understand how the activity spread to larger areas. Prof. Elisha Moses and Medical Xpress discussed the paper that he and his colleagues published in Proceedings of the National Academy of Sciences. "Employing multielectrode arrays to follow the spontaneous activity of up to 59 single neurons continuously and simultaneously in a dissociated culture was a basic technical capability that has made our discoveries possible," Moses tells Medical Xpress. "In our labs, we use three basic measurements to monitor network activity in neuronal cultures. The first – the one our paper mainly discusses – is an electrical measurement using multi-electrode arrays, in which the external signature of the neuronal action potential, or spike, is monitored with an array of metal electrodes." Multielectrode arrays (MEAs) act as neural interfaces that connect neurons to electronic circuitry. The scientists used the MEAs to measure spikes in multiple neurons simultaneously. "Our second technique was fluorescent calcium imaging, which involves optical imaging of fluorescent cellular activity that changes once the neuron fires and calcium flows inside. An advantage of this technique," Moses explains, "is that a large number of neurons can simultaneously be monitored." Their third method was the classic patch clamp electrophysiology technique, which allows the measurement of single or multiple ion channels in neural and other cell types with great precision, control and detail. "If the cell participates in network activity, there are subtle signs in its activity that can be observed and that inform us of the entire network activation. The use of MEAs in particular," he adds, "has enabled us to measure a regime that was mostly ignored up to now, in which there is no calcium in the external medium. This is a regime that was not probed in detail before, where electrical signals are still measurable but calcium fluorescence imaging is not." Moses points out that the use of MEAs has turned out to be crucial for observing the oscillations of individual and independently active neurons. A critical aspect of their study was showing that hippocampal and cortical neurons fire in an oscillatory manner, both individually and as a network. "The periodicity of the network at nonzero calcium concentrations is an observation that has been under some controversy over the years," Moses notes. Previously, the inter-burst interval (the time between bursts, or IBI) has been reported by others to have complicated, even fractal, statistics. If so, Moses points out, this might indicate that neurons are in a critical physical phase transition regime. "However, we showed that the behavior of IBIs depends strongly on the composition of the external fluid in which the measurement is carried out: For a well-controlled composition of this fluid under physiological conditions," he illustrates, "we consistently observed periodic firing behavior; however for fluids with less-controlled components the behavior can indeed become highly complex." Since this was important in resolving the previous reports, the scientists verified and complemented the measurement made with MEAs by using the fluorescence calcium imaging as well as the patch clamp measurement methodologies. Movie S1. Disconnected network: 0 mM [Ca2+]o. (Upper) Relative topography (on the MEA) of the active electrodes. When a neuron fires a spike, its corresponding location flashes in white. 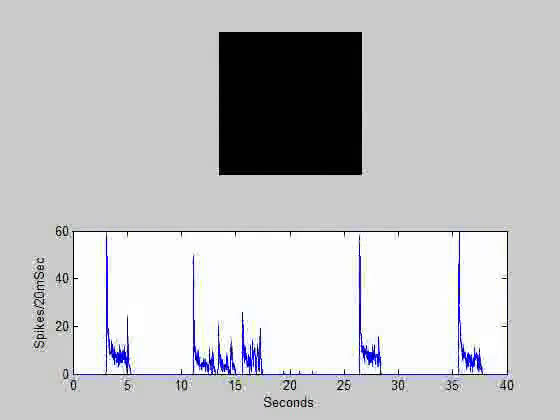 (Lower) Equivalent total activity (sum of spikes over all electrodes) is shown in 20-ms bins. The same culture (depicted in Fig. 3A) is shown in consecutive recordings at different calcium concentrations corresponding to different coupling strengths. Credit: Copyright © Penn Y, Segal M, Moses E (2016) Network synchronization in hippocampal neurons. Proc Natl Acad Sci USA 113(12):3341-3346. At the same time, Moses adds, the independent periodicity of individual neurons within the neural culture is a completely new observation. "In principle, to get independently firing neurons one must disrupt the synaptic connections that make up the neuronal network. Traditionally, this was done by blocking receptors for a variety of neurotransmitters on the receiving end – that is, at the post-synaptic neuron. This was always followed by a complete suppression of the activity, both of the network (since it was now disconnected) but surprisingly also of the single neurons. Our approach, on the contrary, was to block the sending side, or pre-synaptic neuron." A key finding was that calcium has an effect on excitability, enabling network connectivity by increasing synaptic release while concurrently reducing single neuron excitability. Moses notes that the important and wide-ranging effects that calcium concentration both in the cell and outside it are well documented. "Calcium is important both for the fast ready to release pool of vesicles and the slower process of recruitment of vesicles to the synapse. By using barium instead of calcium, which is known to play a role in the second process but not in the first, we were able to see synchronization of the frequency but not of the phase, so that we saw network bursts that are wide in time rather than abrupt and simultaneous. We have therefore been able to show that a large number of the properties that make calcium special as a control element come into play in the coupling between neurons in the neuronal culture." At low calcium, he adds, neurons are very active but not coupled; at higher concentration they are less active but highly coupled – so the balance struck by the neural culture is really quite striking, and can be easily disrupted or controlled by varying the concentration of calcium. Relatedly, magnesium decreased excitability without affecting connectivity, but did not participate in the synaptic processes, where Moses says calcium is the key player. By adding magnesium the researchers were able to dissect the two contributions of calcium, showing what the effect on excitability alone does. Movie S4. Strongly coupled network: 0.5 mM [Ca2+]o. (Upper) Relative topography (on the MEA) of the active electrodes. When a neuron fires a spike, its corresponding location flashes in white. (Lower) Equivalent total activity (sum of spikes over all electrodes) is shown in 20-ms bins. The same culture (depicted in Fig. 3A) is shown in consecutive recordings at different calcium concentrations corresponding to different coupling strengths. Credit: Copyright © Penn Y, Segal M, Moses E (2016) Network synchronization in hippocampal neurons. Proc Natl Acad Sci USA 113(12):3341-3346. "The third scenario has a long and distinguished list of models and of people who've worked on how neurons interact to create this collective effect," Moses says. "Kuramoto1 suggested the initial model, whereby sinusoidal oscillators interact to make a network oscillation. This was generalized by Strogatz2 to describe units that couple by spikes rather than continuously. Finally, Ermentrout3, Hansel4 and Golomb5 then showed how this is relevant for neurons. However," Moses stresses, "while we have not proven this beyond any doubt, our results strongly support the third scenario by showing the relation between the frequency of the bursting network and the mean of the distribution of the individual neurons. Furthermore, we're able to follow the transition to collective behavior as we gradually crank up the coupling strength between the neurons, and we were able to see how the neurons first synchronize their frequency and then gradually line up their phases so that they are firing simultaneously in the bursting network characteristic of the final stage of synchronization." The scientists also reported that excitability and connectivity could be modified by systematically varying the network environment. "Network dynamics are usually thought to be determined by their connections – that is, synaptic strength. However, we're able to take the same network and, without any change in its architecture, obtain very different dynamics just by changing the conditions that the synapse is feeling externally." Moses says this shows that most of neuronal dynamics can be controlled externally – for example, by the glial cells or by slightly changing the extracellular ion concentrations – and adds that the external environment can also explain some of the controversies related to the wide variety of neuronal activities that has been observed by different experimental groups over the years. The paper reports that synaptic blockers elucidated the involvement of neurotransmission in coupling individual neurons. "In general, the role of synaptic blockers for disrupting the network has been confusing because the neural excitability is low," Moses explains. "We were able to raise or lower the excitability by adding potassium or magnesium, respectively, and in both cases saw that the neurons tend to be oscillatory both on their own and collectively when connected. Moreover, the gradual appearance of synchronization as calcium is increased gives a clear intuition onto the role of the connectivity in driving the network oscillations." In addition, the researchers write that glial cells and other coupling mechanisms should also be considered. "The effect of one neuron on its neighbors is complex, and mediated by several mechanisms," Moses tells Medical Xpress. "A number of mechanisms that influence the coupling between neurons exist, such as the effect of glial cells, which are abundant in our neuronal culture and whose influence on the network activity is generally accepted to be relevant and important. Our work has not covered the possible contribution of glial cells, and this is certainly an open problem that can be of interest in our future studies." Medical Xpress asked Moses if, given the paper's focus on the hippocampus, he has any comments on the work by Berger6 and his colleagues at the University of Southern California in Los Angeles in implementing a functional hippocampal prosthesis – a device that has performed well in laboratory testing in animals and reportedly is being evaluated for use in human patients. "There's no doubt in my mind that prosthetics will prove a driving force in unraveling fundamental questions of neuroscience, since they are driven by a real medical need and can provide a unique window into the function of the brain along with a handle into influencing its dynamics in ways that we have not seen before. Since the prosthetics offer a communication gate into neurons in the brain, our results offer insight and can be important in identifying how to talk with those neurons in vivo. The unknown language or code by which neurons communicate is a major question that is still not well understood, and our realization that oscillations are the basic building block of the neuronal repertoire may turn out useful in this context." Regarding the researchers' plans, Moses says, two immediate questions relate to the nature of the individual neuronal oscillations and of the networks bursts. "We intend to identify different cells within the culture, and to find out the range of oscillatory behavior and frequencies for the different types. Current ability to separate neural populations by FACS promises the ability to build networks of different neuronal elements and to relate neuronal properties with their firing dynamics. In the longer term, our lab has an ongoing effort into the construction of neuronal logical devices, where the addition of a natural intrinsic clock for the computation is of fundamental importance. In parallel, we cooperate with theoretical physicists from Diderot University in Paris who are developing predictive models to describe the transition to synchrony." In addition, the group is looking into the ability to externally excite neurons with technologies such as magnetic and ultrasonic stimulation, and other avenues of research involve the network structure of activity in the whole brain. "Synchrony covers a wide range of phenomena, from the synchronization of firefly nocturnal firing to the discovery of menstrual synchrony by McClintock7 and its implications on how humans communicate," Moses tells Medical Xpress. "Our results add neural synchrony as an important member to this family of systems where coupling between individual oscillating units leads to a large collective bursting oscillations." In general, he adds, the dynamics of neural networks are interesting not because they model the brain (they actually don't, since the connections are very different), but rather because they present a simplified system in which neuronal activity can be understood in full, presenting a model to study the interactions between the single neurons and the collective computation that results. "Our work is mostly a successful application of synergy between physics and neuroscience," Moses concludes. "We've been able to join the physical picture of a network and the coupling between its nodes, with the neurobiological picture of single neuron excitability and dynamics."